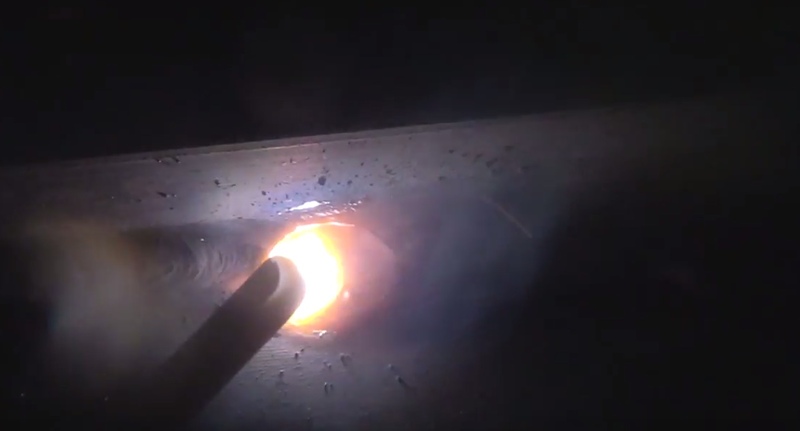 "Set the amperage hot enough so that when you hold a tight arc, the rod wont stick..Then hold a tight arc"
What is the Biggest mistake you can make for Stick welding overhead with 7018? Is it Rod angle? Amperage? Rod Manipulation? But I think the number one main thing is arc length. that is once you set the amperage high enough. That does depend on the thickness of metal a bit but as a rule of thumb, for 7018, one amp per one thousandth of thickness will get you in the ball park. a 1/8" rod is .125" and so 125 amps is a pretty good place to start for overhead 7018 overhead. what is CLAMS and how can it help you with Stick Welding Overhead? The acronym CLAMS helps me remember all of the most important variables for stick welding. Current - Set the amperage high enough that the rod will not stick while you hold a very tight arc...and then hold a tight arc. now that there are so many different types of stick welders (inverters, generator welders, transformers, multi process welders) and some of them have functions like arc control (Dig) there are ways of manipulating the arc. Actually some older machines did essentially the same thing that never inverters do with arc control so I guess you could say the more things change the more they stay the same. Length of ARC - This is SUPER important for overhead stick. In the video on this page, you can see what happens with a long arc. 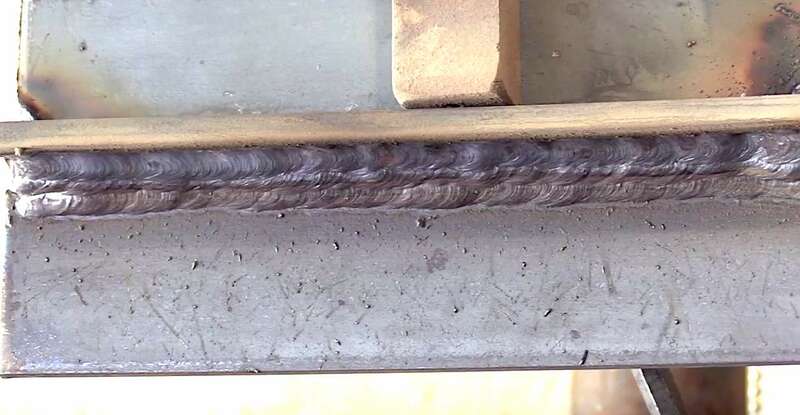 This is why I struggled with overhead welding so much when I was in welding school. Angle of electrode matters too but there is quite a bit of forgiveness on rod angle. A slight drag angle seems to work best for me. But as you can see a 90 degree angle also works once you get going and things are heated up...in fact the straight in 90 deg angle helps toward the end of the rod in preventing arc blow undercut. Manipulation of electrode is something you dont really need to do on overhead 7018. Any movement should be very slight...a slight side to side motion or even very small circles work for some folks. Speed of travel need to be slow enough to prevent undercut and fast enough to allow for a fairly flat bead with minimal convexity. Remember, set the machine hot enough so that when you hold a tight arc , the rod wont stick......then hold a tight arc.